The New Year leads us to aspire for new beginnings, ideas and goals. It also leaves many of us feeling utterly guilty due to the things that we wanted to accomplish in 2017, but fell short. No matter where you, your brand or business are at we all have one thing in common, and that is goals. Some are big, some are small and many of us have more than one that we want to accomplish in the new year. So… let’s try to avoid that gut sinking feeling of disappointment this year! We need to map out the route to our goal rush by digging out the answers these questions, because every great journey needs proper planning! Establishing a handwritten list of your goals, big or small, is a good start! Keep your lists in a place where you see it every day, maybe next to your child’s artwork on the fridge, in your wallet or staring back at you on your bathroom mirror? Either way you do it, it is important for us to keep our goals in sight and then you get a sense of accomplishment every time you cross a completed goal off of your list! Some of us are great at being internally motivated and some need an extra push to get them to the finish line. A great way to hold yourself accountable is to share your goals with the world, whether it is to your friends, family or even via social media! The more people you tell about your goals mean the more people you will not want to let down this year. So, don’t make your goals a big revealing secret otherwise it is much easier to push them off until God knows when! Why do you want to accomplish these goals? Our why’s are the number one motivator for us. This is the answer to our passions for what we do! Why did you start your business? Why do you want to change? Why are these goals important to you? etc. When we feel those times of doubt we need to be reminded of why we started in the first place. Keep your whys surrounded around you when your road gets bumpy, vision is blurry and you can’t seem to see the end goal in sight! Obviously, how we accomplish our goals will be different for everyone. Sometimes you can go back to usual methods that have worked well for you in the past, or you need to shake things up and try something new. When you have your list of goals down, go through each of them and take a step by step process approach to what needs to happen to hit your goals out of the park! We all know things can arise that change our methodology, but it all starts with a solid foundation. When are you going to accomplish them? I don’t care if your goals are short or long term, give yourself a “due date”. Hold yourself to some accountability so the goals don’t fall off the wayside. Pretend you are back in school and your teacher assigned you a project due in a week, month or year, depending on your goals. No excuses. The truth of the matter is that no one accomplishes anything alone. I don’t care if you are Superman or Queen of the World, everyone has a support system that helps motivate, encourage and support us when our spirits are low, stress is high and when we have feelings of self-doubt. Sometimes we need to look back and remind ourselves of where we started to keep that fire and passion alive. Regardless, you still need to move forward, because time doesn’t stop, uncontrollable events happen and failure in inevitable for everyone. That is just life! When this happens, you need to step back and remember the answers to these questions. Don’t lessen your goals, fear failure, change your plans or undermine you, your brand or business. Every great success story has concurred the unimaginable, and so will you! Know that your trip will get rocky, there will be mountains to climb and unexpected things will happen, but pack your map and plan to get to your final destination on time! 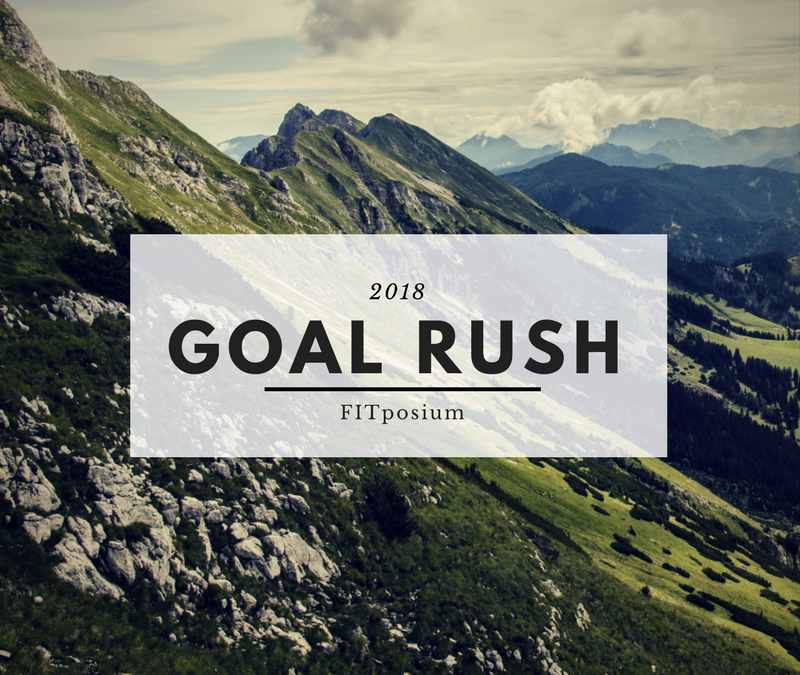 Remember that no matter what happens make 2018 the year of your goal rush, and be nothing but a goal digger!